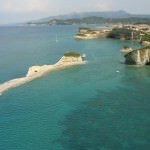 Sidari was a small fishing village up until the late 80’s and as the years went by and it became a more and more popular destination. 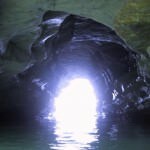 It grew to become a summer holiday resort that many visitors adore and return to year after year. 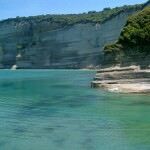 What makes Sidari different and unique are the several little bays with small beaches around the area and the stunning rock formations around Canal D’ Amour. 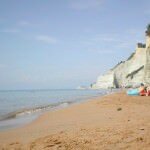 Sidari’s main beach is one of the longest sandy beaches in the area, its shallow waters are perfect for families with children and has been awarded with the Blue Flag award every year. 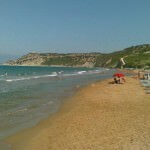 On the beach you will find sunbeds & umbrellas, a large variety of water sports (paragliding, water ski, scuba diving, etc.) 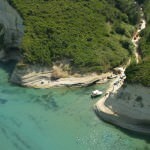 and small motor boats for hire which are ideal for visiting the beautiful coast line. 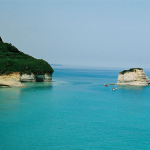 There are also many boat trips to the Diapontia Islands (Mathraki – Othoni – Ericusa) that lie across the skyline visible from Sidari. There also tennis courts, basket ball centers & a gym. Sidari boasts a large variety of cafes, restaurants and local “tavernas”, offering Greek, British, Mexican, Indian, Italian and international cuisine as well as bars & clubs for all ages. There are plenty of gift shops offering clothes, cosmetics, shoes and for day to day essentials there are super markets, all open until late. You will also find other essentials such as hairdressers and beauty & spa treatments, a florist, a local doctor and a chemist. There is also a taxi center for visiting surrounding areas and horse & carriage rides! 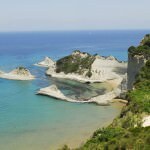 The local bus service frequently runs to Corfu town, San Stefanos and other quaint villages. Choosing Sidari as your holiday destination will be one of the best choices you will make this year! 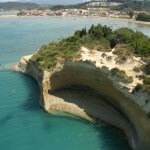 Sidari Corfu Net: Travel Guide about Sidari. 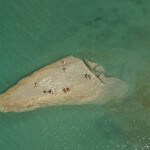 Sidari.org: List of restaurants, bars & clubs. 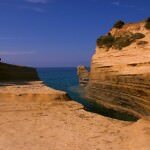 Channel of Love (Canal d’amour) – A beach of particular beauty where geomorphological formations of sandstone form small bays with crystal clear waters. A masterpiece the sea and the wind was created in time, unique in all the Mediterranean. Organized beach with cafes and restaurants just waiting to serve you. 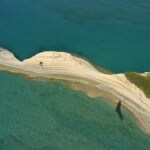 Cape Drastis – Unspoiled beach wherein a small fiord with smooth rocks and clear waters is formed with view to the Canal d’Amour. Loggas Beach – Exquisite beauty an organized beach which is divided naturally into two parts. 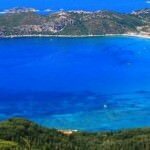 Sand and crystal clear waters overlooking the Diapontia islands. 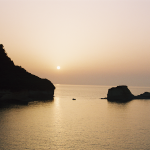 From the bar and restaurant at the edge of the Clift you will watch the most beautiful sunset of the island. 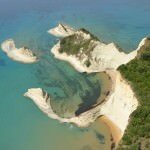 Arillas – Located between San Stefanos & San George. 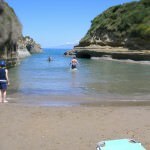 The main sandy Blue flag beach shelves very gently into the shallow turquoise sea and makes this an ideal spot for families. The water sports promise a lot of fun. For more information for the village visit www.arillas.com. St George -Pagon Contrary to the big tourist resort is a peaceful village. The long horse shoe shape sandy beach with its crystal clear waters entices people want to escape their everyday routine.The scuba diving center offers the best underwater experience of the island The tall cypresses , the endless thickets of the regional mountain area and the view out into the sea ensure an unfortgetable day at the beach. 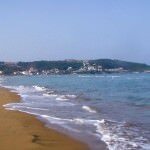 Several small cafes and tavernas along the beach front offer sea food and many traditional dishes.